Comic cartoon caricature are words to describe art produced from photo by caricature artist Shane. Shane is a cartoon artist with online ordering through CaricatureKing. Loved by those who receive his work even if it is for a corporate ‘pin-the-tail-on-the-donkey (see recent work below). 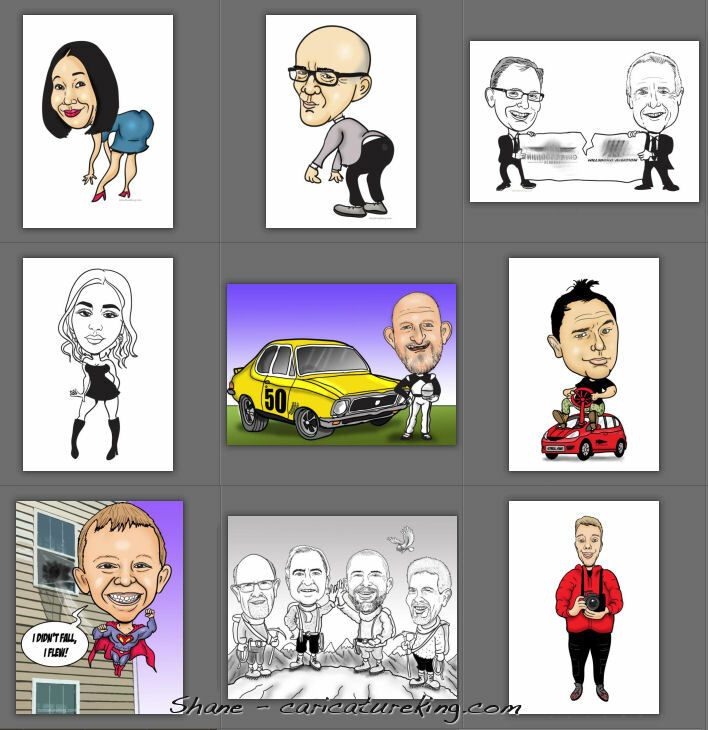 Customers love the way they can just send some photos and a description of what they like and Shane can create great comic caricatures from the photos. As you can see by these recent jobs, the results are very fun! You can see more of his samples here on this blog or on his sample and online order page on the main website.